This Simple Shells Cloche Hat Crochet Free Pattern is a cute and timeless hat which is great for everyday where. 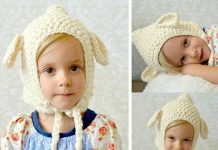 Make one now with the free pattern provided by the link below photo. This is good for a walk outside or any day wear if it’s too sunny. You can add this red bow-tie to the hat to give the hat some extra detail. 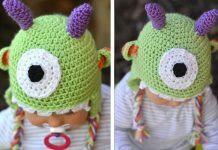 Thanks DORIANNA RIVELLI for sharing this free pattern. The link for the free pattern is provided below photo. Happy crocheting.